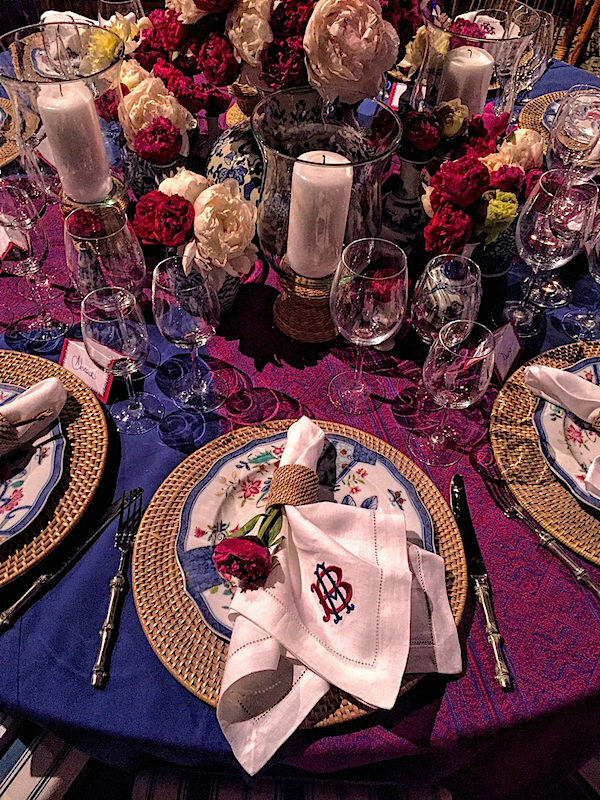 While last week was chock full of design happenings, I was thrilled to be able to at least sneak a peek at the glorious tables for the 2016 Lenox Hill Neighborhood House Gala. 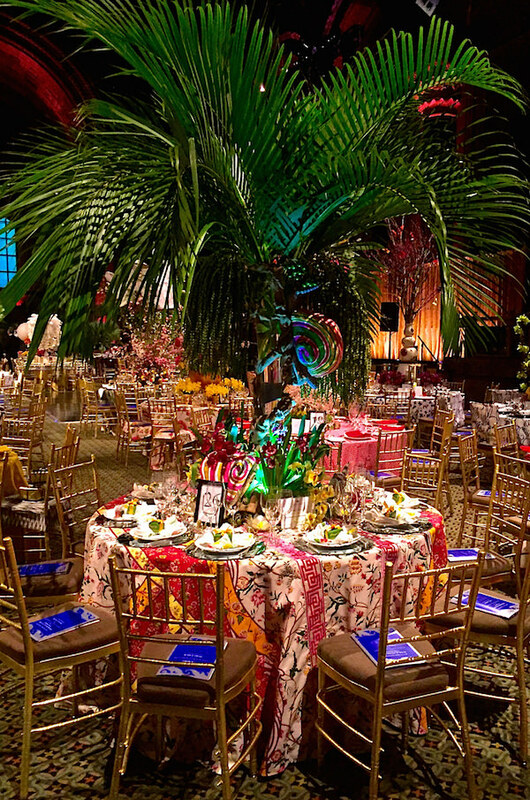 Always a favorite event of the season, this year the gala honored long time board member Audrey Gruss for her leadership and generosity. 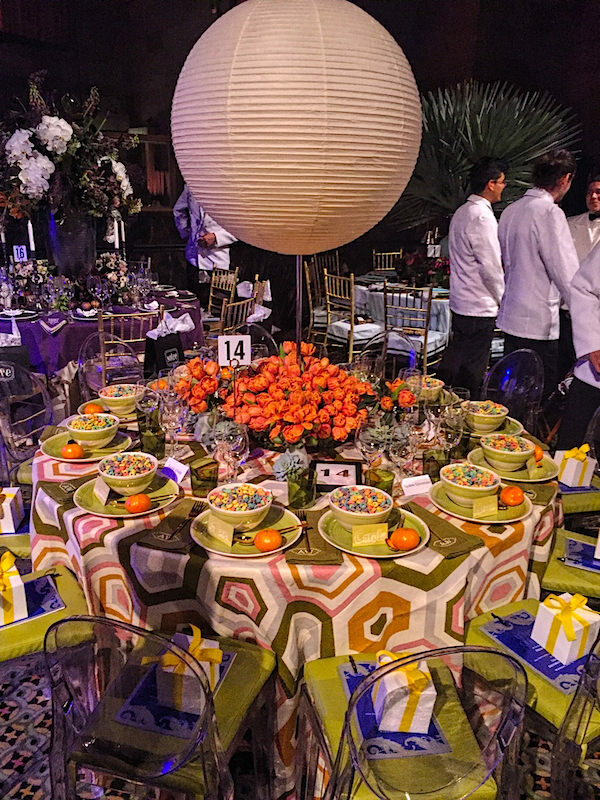 In addition to, most importantly, raising a total of $1.15 million dollars for this worthy organization, the spectacular tables offer an abundance of inspiration for spring entertaining. 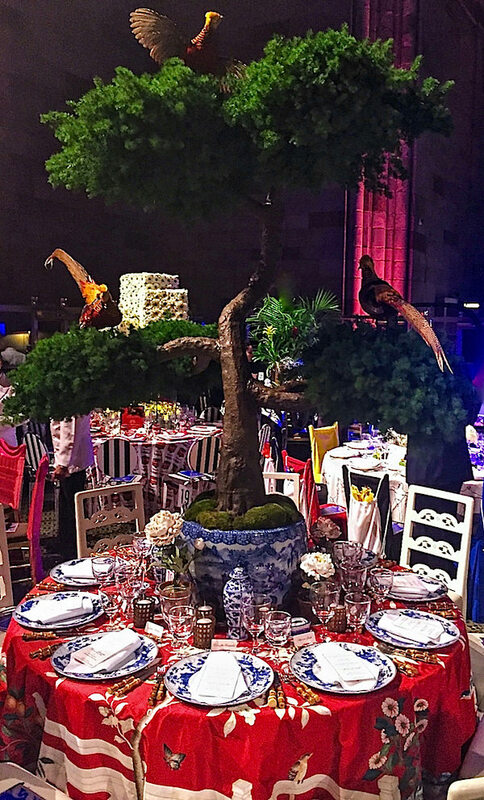 Alex Papachristidis with David Monn created a scene for an Enchanted Chinoiserie Evening. it was a lush and layered example of timeless elegance. 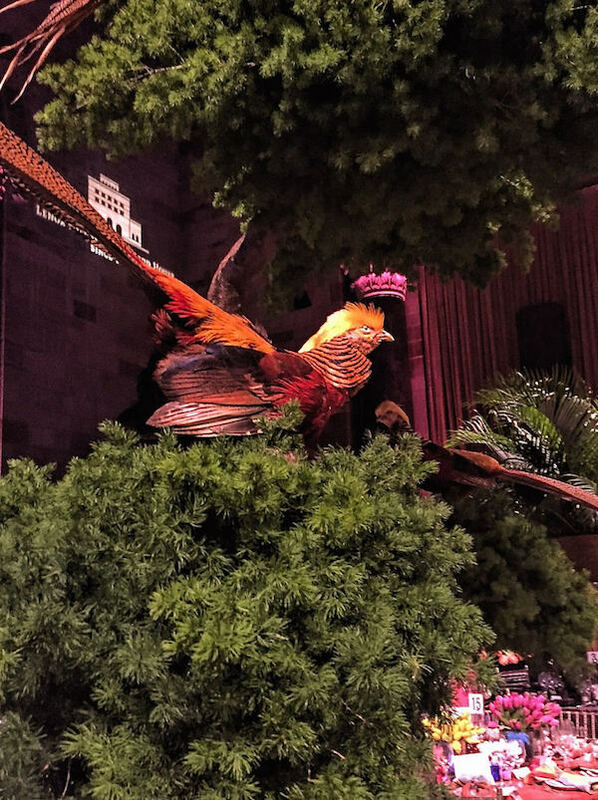 And the crowning glory was the birds at the top of the giant bonsai. 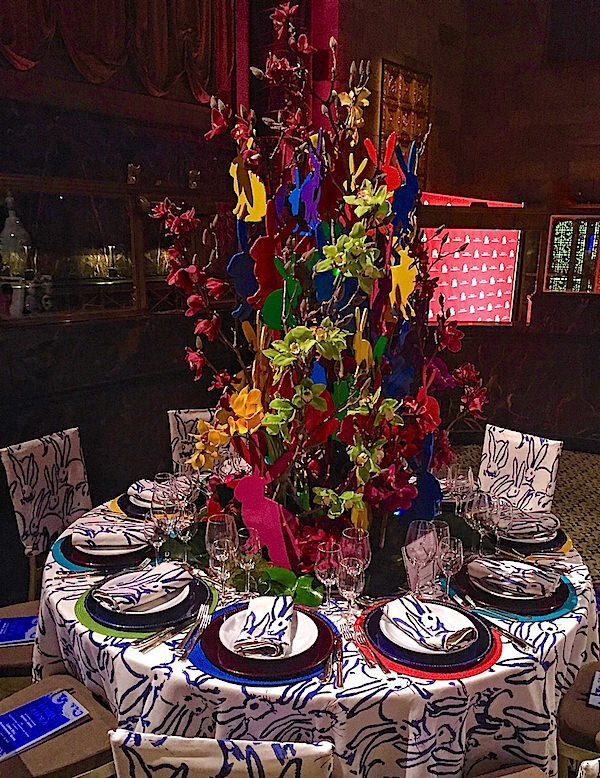 The theme of the evening was A Century of Design and Marco Scarani for Creel and Gow chose the 1970’s with his vibrant Duquette’s Folly. 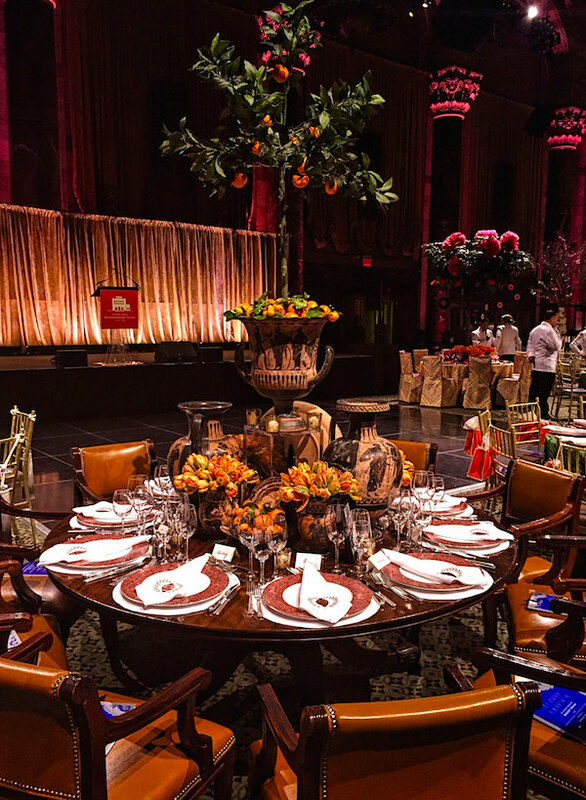 the table expressed the more is more Duquette aesthetic with items from the global chic upper east side cabinet of curiosities. 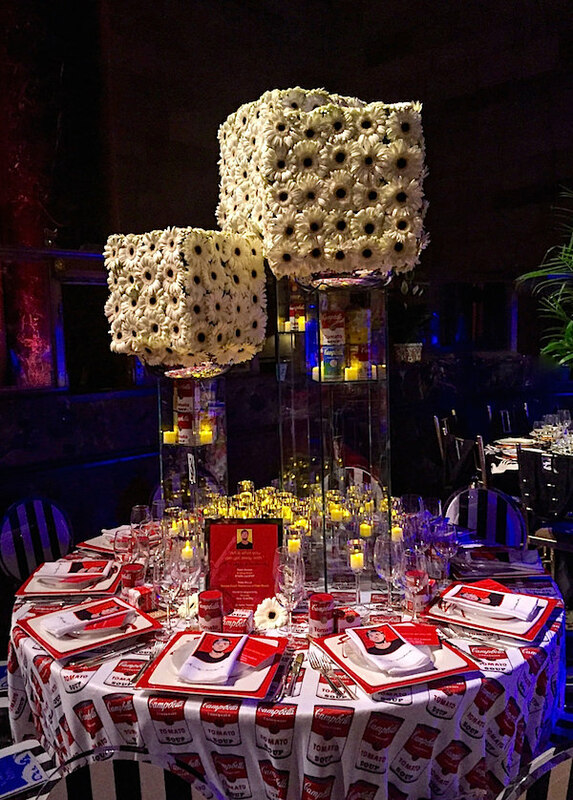 Honorary Design Chair Christopher Spitzmiller‘s Flower Power! table celebrated the 1970’s with fabulous new ceramic pieces. Topping his table with an enormous new Triple Gourd Vase, Chris surrounded the centerpiece with his new Large Hadley Hurricanes and hand-made ceramic Dahlia Chargers. 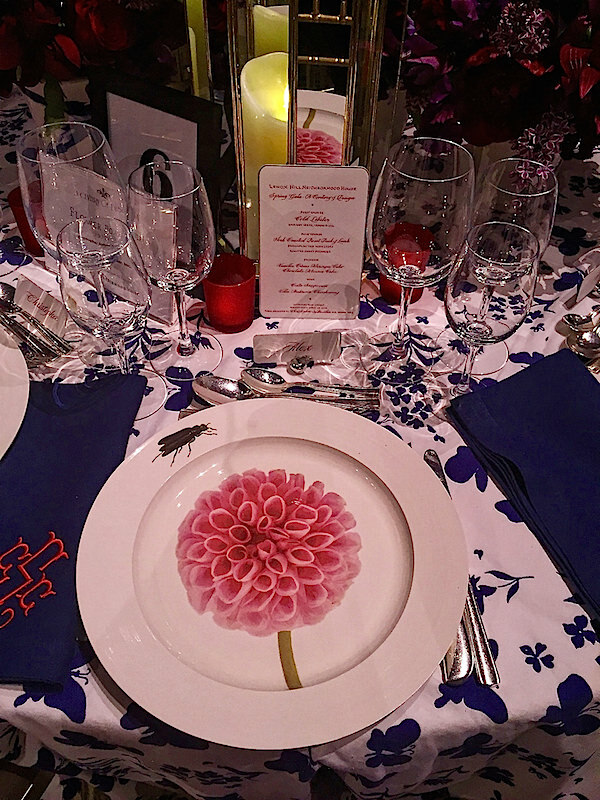 Using images of the flowers he grows in his garden at his country house, Clovebrook Farm, each plate featured a different bloom and garden insect. 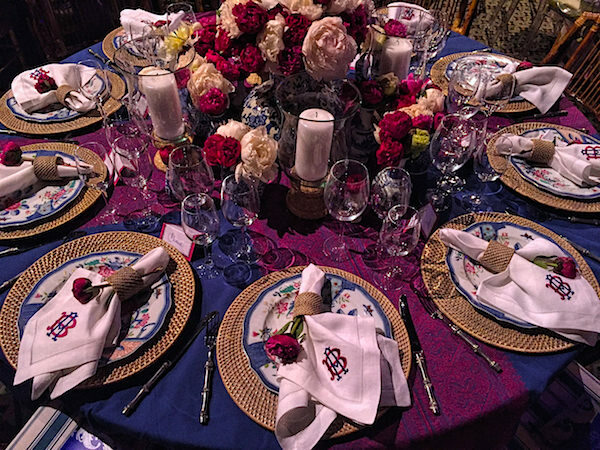 The vintage tablecloth and Bergdorf’s napkins monogrammed by Madison in Dallas were offset by beautiful arrangements by Plaza Flowers. In a Study of the Greek Style, Scott Snyder referenced the early 19th century Regency Period. 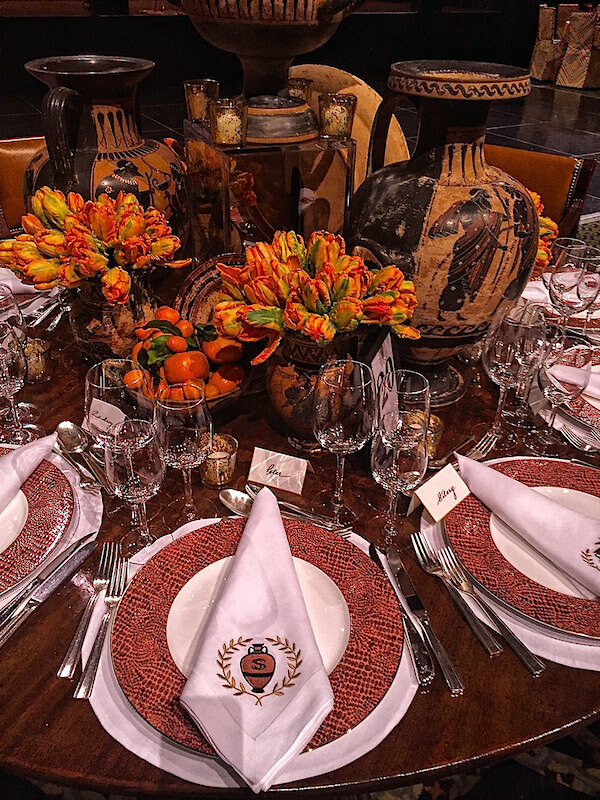 With handsome English Regency mahogany leather upholstered arm chairs from Newel, Greek style painted terracotta vases and urns and clever thematic monogrammed napkins, the designer proved yet again that what’s old is new. 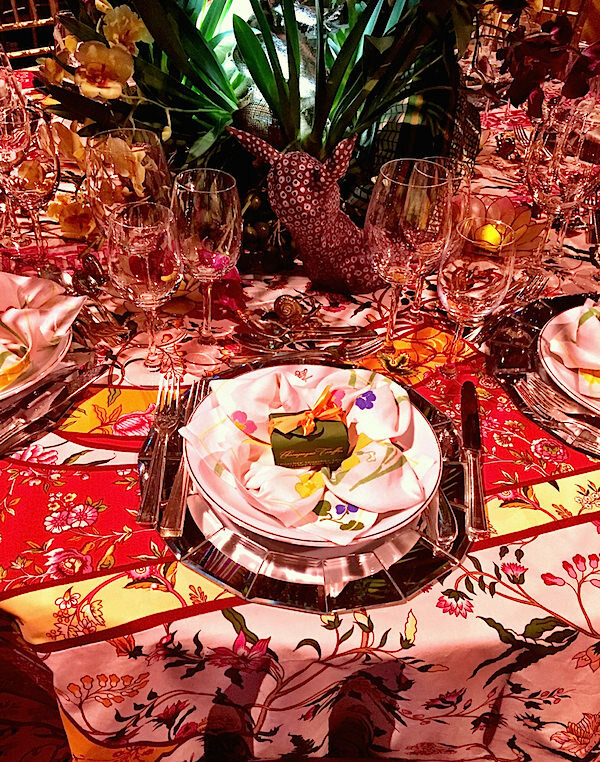 On a tablecloth of Schumacher‘s beautiful new embroidered Toledo fabric from their Couture Collection (which I wrote about here), Alessandra added a casually chic assemblage accented with a spectacularly lush arrangement of peonies from G. Page Flowers. In a table of creative collaboration, Harry Heissmann and Emily Evans Eerdmans teamed up to channel legendary decorator Henri Samuel in a tribute to French 20th century design. 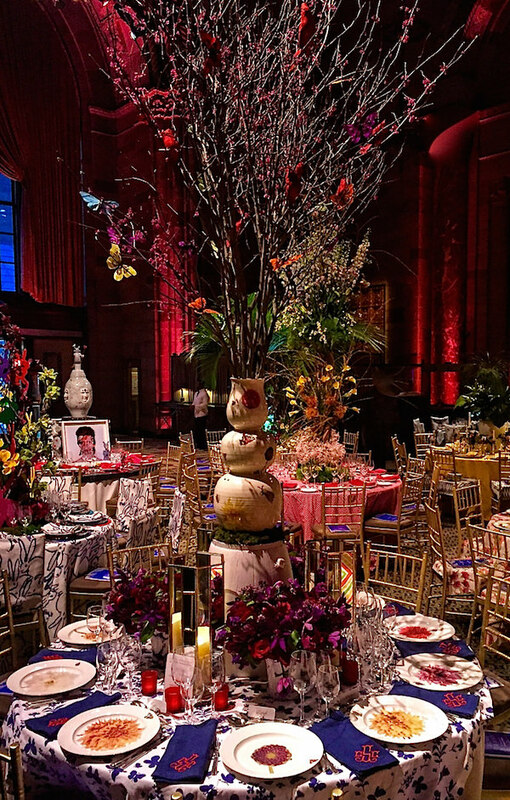 A display of layered opulence included Brunschwig fabric, Samuel & Sons trim and fabulous centerpiece by Emily Thompson Flowers. Even the details wittily referenced Samuel’s work (specifically the ceiling in the d’Ornano Paris residence) with the snail sculptures by Mark Gagnon. 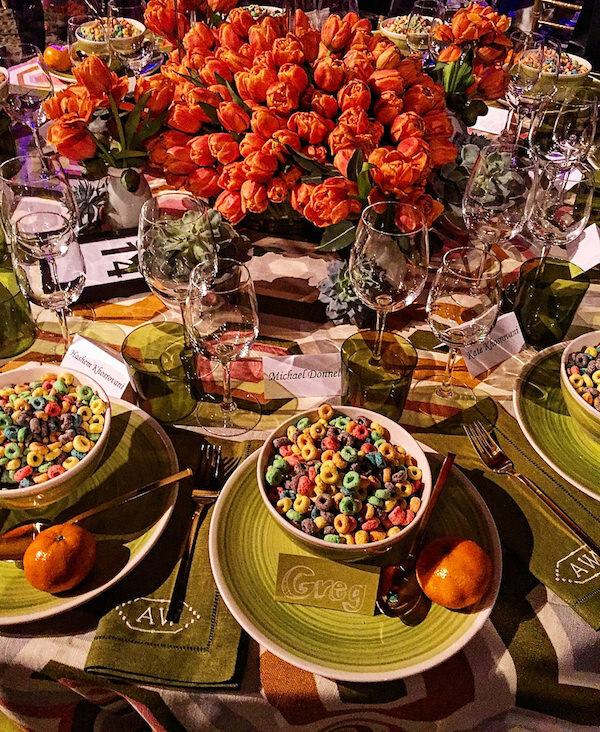 which then served as placemats on the table. 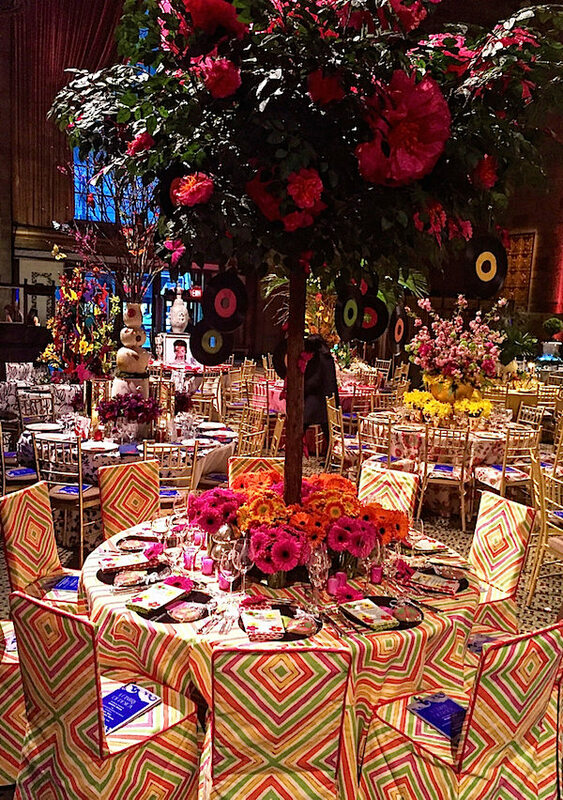 A colorful Quadrille pattern trimmed with Samuel and Sons piping, for the chair covers and tablecloth was fabricated by Jaydan Interiors. Even the cookies were peacing out at this trippy table. 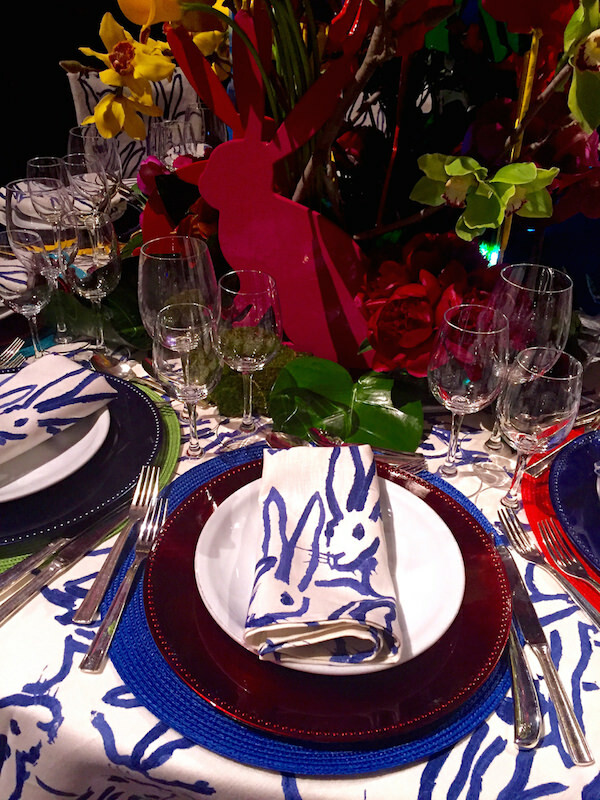 Hunt Slonem looked forward to the Year of the Rabbit in 2023 for his Rabbit is Rich table, anchored with his enameled steel Hutch sculpture made for the occasion intertwined with flowers by Kurt Rausch. 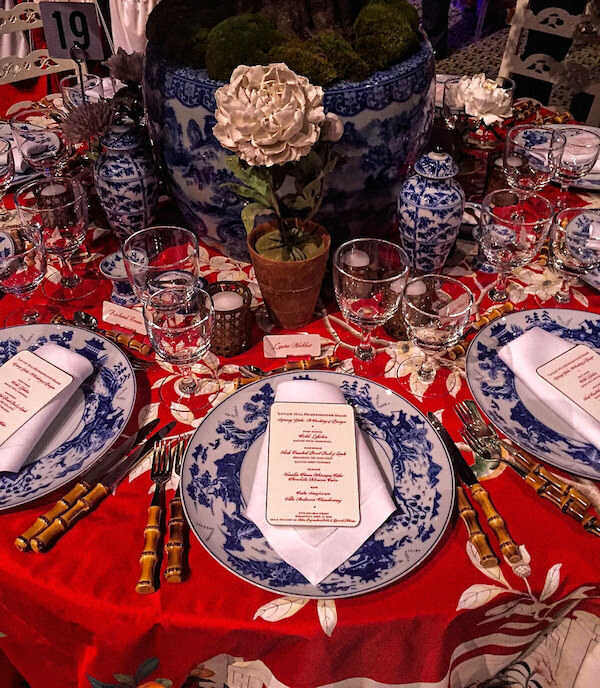 Hunt’s Hutch fabric for Groundworks/Lee Jofa covers the table and chairs and was fashioned into napkins for a unified theme co-sponsored by David Duncan Antiques. 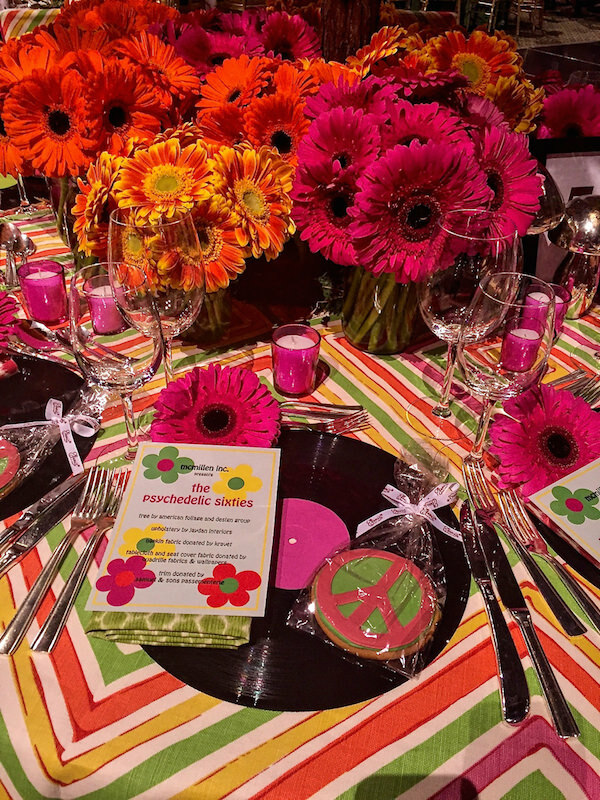 “Art is anything you can get away with.” Andy Warhol’ iconic quote was the inspiration for the 1960’s table with table design by Andrea Stark for Stark Carpet and table décor by Robert J Peczka Jr. for The Special Event Resource and Design Group of Palm Beach. 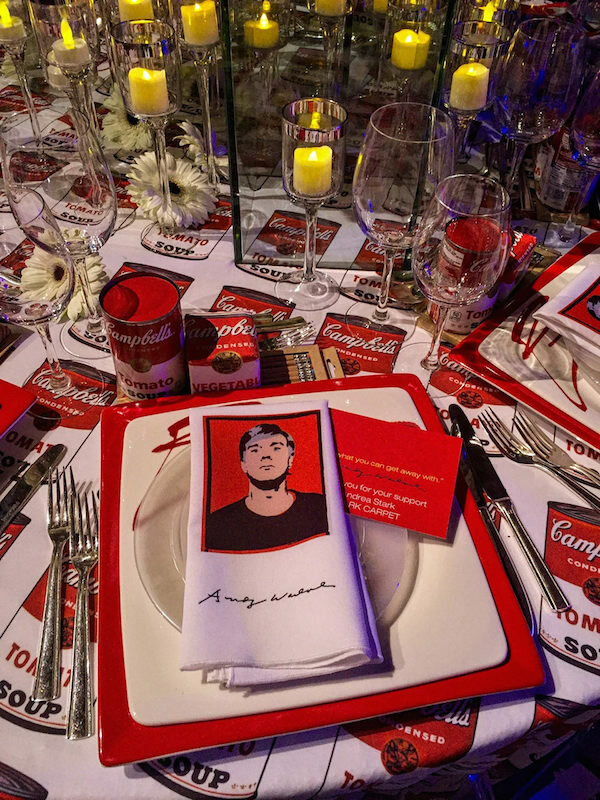 With amazing floral centerpieces by Ovando, the table featured a tablecloth of Warhol’s famous Campbell’s Tomato Soup can print with coordinated printed napkins and graphics. 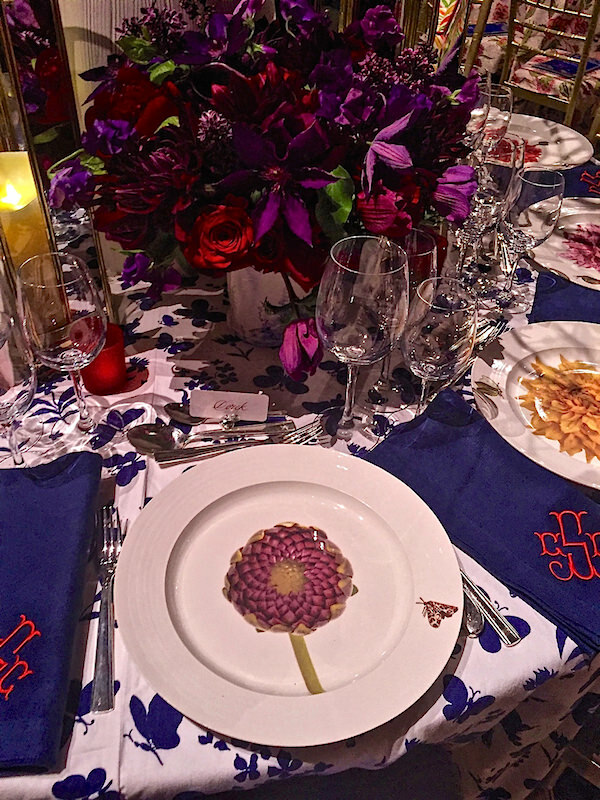 Stop back next time for more inspiring tabletop design from the 2016 Lenox Hill Neighborhood House Gala. This entry posted in interior design. 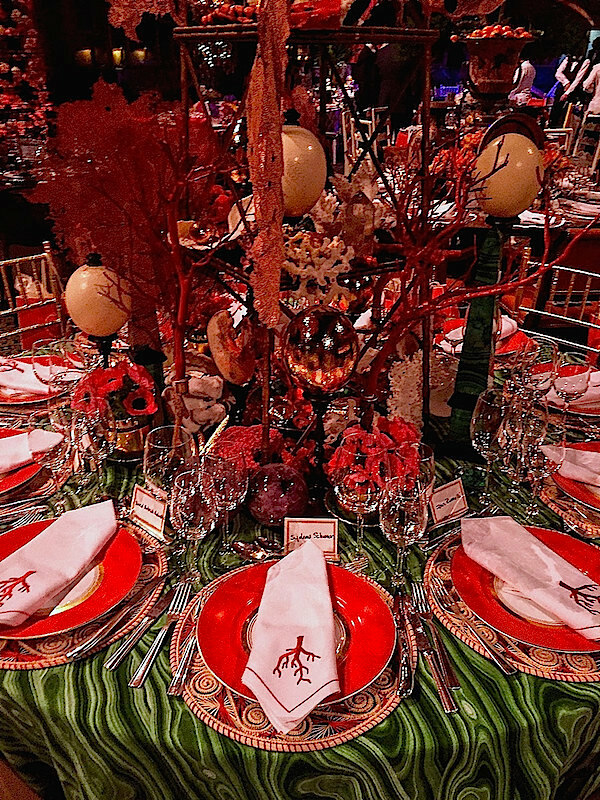 Entry Tags: Entertaining, Lenox Hill Neighborhood House, Lenox Hill Neighborhood House Gala, spring entertaining, Tabletop, Tabletop events, tabletop gala Bookmark the permalink. 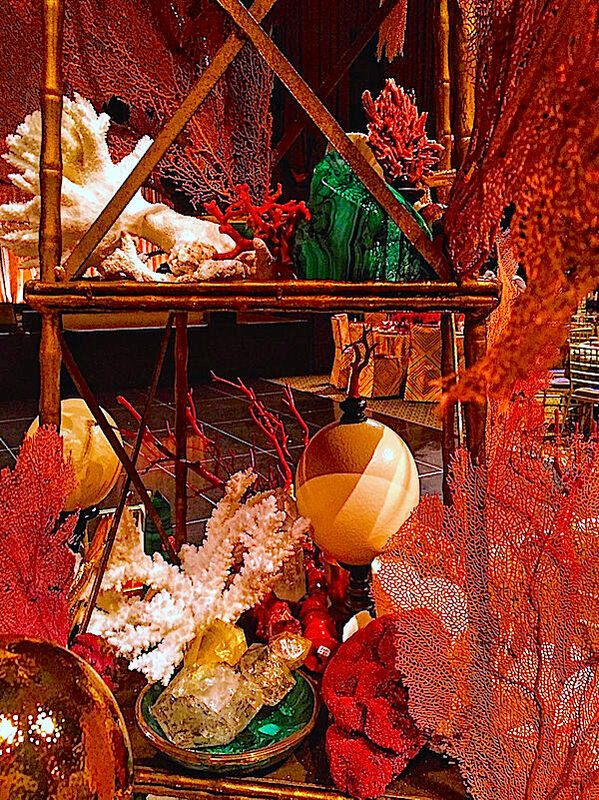 Artfully gorgeous creations all! More is more indeed! Wow!!! Thank you for sharing this awe-inspiring event! 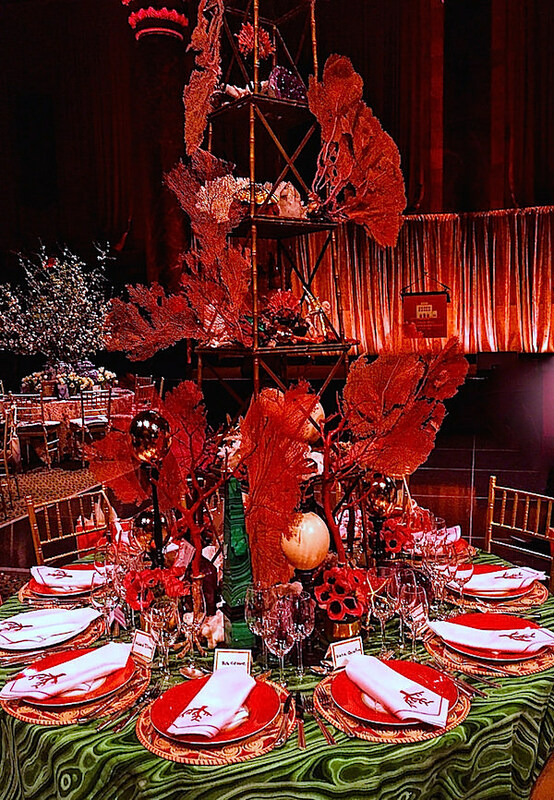 Fabulous, Tablescaping is designing on a small scale. I always look forward to your posts. 81 queries in 0.574 seconds.